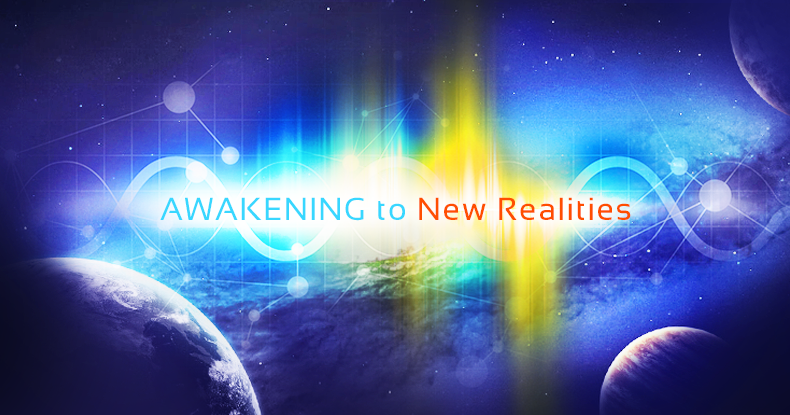 During the "Awakening to Realities" event (March 14th, 2018), Mas entered into a space that was tender and raw, bringing the Mastermind to a state of honorable silence and awe. The moment intensified & brought him to an upgrade shortly before the 21-Day. Mas ascended beyond time & density into a space of euphoria & spiritual truth. This experience has forever changed Mas & everyone listening. The power of the upgrade led us to end the event earlier than scheduled. Clients have been writing in expressing their excitement, curiosity, concern, and astonishment. We have also received countless requests asking for Mas to hold a follow-up conversation to share the intricate details and revelations from the evening. We are pleased to announce that Mas Sajady and Alan Steinfield will host another event to pick up where they left off on a journey into higher consciousness for a collective Awakening to New Realities. $25 off for March 21-Day participants. Please check your homepage's Announcement section for a $25 Discount Code. FREE if you have already listended to Part 1: Please check your inbox for free access to Part 2. No need to register here. I was there live (not physically) and during the meditation I felt as though the vibrations he described as sound barrier were more muted for me than for him and then I felt like I was in a space of no gravity and no time, a space of grace and immense peacefulness that I have never experienced well...never before, not like this, at least since the last time I recall before heaviness started coming over spirit many lifetimes ago. I could feel a coolness and such gentleness, such awe. I stayed in this space about 30 minutes after the mh was over. While Mas was describing how he became a heart and knew how it functioned intimately and other body systems, I easily went into those same spaces and experienced it for myself especially the nervous system. The way our nervous system branches out into our bodies is the same as the different galaxies branch out throughout the known universe by scientists. I could travel through both at the same time. There is no separation. Afterwards, I spent the entire night listening to the download portion of the Healing Mastery from last fall when I took it. I didn’t know why until hearing he had an upgrade. So did I. The grace in this upgrade was nothing I’ve ever felt before. It was wonderful to share this space with Mas. I could see him “above me” but it wasn’t a competition type above me scenario. It was all of us in the same space but at different levels. I will remember this too. I attended the in person VIP healing event immediately prior to the broadcasted interview and had to take a train back to CT, thus listening online to the webcast on the train ride home. I was jotting down some notes as the interview was getting started and was then so transfixed through the interview that I am now motivated to share with you some revelations I had from the entire night. Please Forward my deepest gratitude to Mas for sharing his Love and personal experience with the world, and for helping us free ourselves. Self sabotage is not honoring one's divinity through not being awakening to and accepting of one's true current state of self loathing and feeling of unworthiness that stem from coexisting subconscious realizations that we are both totally infected with distortions (might not be our fault but it's our responsibility) combined with a truth that we haven't internalized that we are actually individual, yet connected, potentialities of Divine expressions of a whole. It's violence against oneself (and thus to humanity) to not awaken and honor one's own divinity (so be honest with others coming from your awakening spirit because if not, then you are also not honoring their divinity in relationship to you and they can't learn (through contrast to you) to awaken themselves...which is akin to violence against others/our world, because what is in one is in whole and visa versa. Human beings are more advanced expressions of Spirit than other supposedly higher life forms like aliens /angels consciousnesses (that appear more advanced than us because they've mastered higher levels within their own lower density realities),but we are the most advanced and chose to / are capable of creating the most difficult and advanced reality of density. It takes trillions of souls to condense energy into every fractal in present moment in our current universe. We don't realize who we are what we are capable of... what amazing abilities we can posses, but also our responsibility to evolve ourselves and humanity before it's too late. Nothing is more important than evolving one's own consciousness (without oppressing another being) because that's what raises the whole...what is in one is in the whole. There's an accumulation of destruction that could be our ultimate end and Mas finds it unbearable to witness this potentiality play out...like watching a beautiful baby be abused... this is what we are doing to each other and selves at a spirit level. We have a chance to become Super Humans beyond this set point and evolve out of our eventual demise through awaking and realizing the truth of who we are before it's too late. We can rise to a level in which we can become all that is or at least a part of it if even for a moment. We can advance from "witnessing" to "becoming". We decided to experience polarity and contrast so that we could sense the highest possible expression of Spirit, which eventually comes from two Awakened Super Humans coming together in Spiritual Sexual/sensual encounters that combine all the power and beauty of complimentary energies including the push and pull of masculine and feminine to become One...the closest manifestation to the One Spirit all that is. I sure hope I got most of this right so please feel free to let me know! Words can not describe how beautiful this event was!! I know so many people wrote in and I would like to share as well. There was something extraordinary about this evening, I felt a beautiful energy amidst my current distortions in process of breaking away. When Mas shared at one point after Alan had asked about Aliens and there perspective and Mas started sharing the perspective....it was Incredible....in that moment I got it....what we are all here for......I have dramatically shifted from that night and although I do not understand everything, I am so thankful for Mas and the work he is doing with us and to Alan, thank you for asking great questions!!! I am Awakening to the privilege it is to live as spirit in human form! I could see and feel the wave of unconditional awakening love coming into the earths atmosphere, (like on a hot summer day you have seen heat waves) and that is what it looked like with a deep vibration accompanying it. This wave permeated every particle of earth thru to the core. It was like a mini life review, I could see my distortions and with no resistance the distortions were gone. Such a beautiful and profound experience, words cannot describe how thankful I am to have been able to awaken in such a spectacular way. I sincerely hope that Mas could adjust himself to what happened last night. It felt as if Mas was suddenly in expanded Unity Consciousness and took us all with him. I feel such a gentle serenity within myself, although I slept only about a few hours. Thank you all including Alan who seemed to ask the right questions. OMG! What happened during last night's medihealing???? I feel totally exapnded - WOW!!! That was some ride! I felt that "peace that passeth all understanding". Being able to listen to the new realities show last night was quite an experience and I am so glad I could listen in. As soon as it was over I wanted ask questions, to email in but I let myself be in the state I was in from the medihealing because this was too... special, unique, too something to not sit with the experience. I didn’t even put on another “background” medihealing to sleep on as I usually too, lest that limit or take me out of my experience. I woke up at 5:30am and put on the 21day from last night to listen to it again. Now I am compelled to write. I don’t know if I will be able to write down all that was and is going through my mind and being around last night. First my experience of the medihealing: I could feel around me this state coming in as well as I could feel the denseness that I still am that is keeping me from fully experiencing and being that state. I felt it a bit more as something beyond me, outside of me because of the denseness that kept me from being it fully. I just was with the experience as best as I could, having a sense of both. Listening to it again this morning gives me the sense of life as a miracle in every movement that we make, in every word that is uttered, in every breath that we take, in the unfoldment, this orchestration of every event in existence. I understand this to be the state of miracles, that is so often alluded to in religion, at least in Catholicism and in the Indian traditions of enlightenment, where I am most aware of it being spoken, barely alluded to in comparison to what I am so lightly having a sense of in this moment. How to capture this, become this? I would like to hear Mas talk about what he talked about and what he experienced more in the framework of an EI lecture or maybe an oracles circle. This ‘topic’, state of being, seems more important to me than all topics we could possibly come up with and desire as once we are there all else will be comprehended. The set up of the new realities host asking questions in the framework of his understanding and Mas talking and explaining from his level, gave me an outside view of our, my interactions with Mas, with the encountering of distortions with lightness and clarity of being. It was also quite an experience to witness via the Internet Mas being in such a high state.